We are now into the summer season and that means ONE THING! The Monticello Extravaganza ! A week earlier this year ( July 18 & 19th) So be sure you have the weekend free and your registrations in. It should be a full slate and another awesome sold out show. Details are on the Chaper Events page, the SPRING Richbrau Chapter newsletter as well as late updates on the Facebook page. See you there! If you are coming from out of state, be sure to bring some local crafts with you for the tasting party Friday night. The Richbrau Chapter member list page has been updated. If you want to add your email, or what you collect to your info, shoot the webmaster an email and I will add it as soon as I can. There is a lot of scuttlebut and buzz about the 2015 Blue Gray Show. This is a sore subject among many of our members and will more than likely be a key topic of room to room discussions at the Monitcello Extravaganza. Just another reason to not miss the Extravaganza. More info to come once "official" announcements are made. 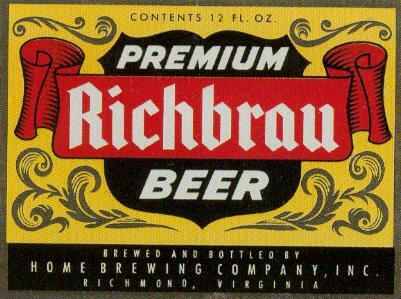 If you are on Facebook, Look up the "Richbrau Chapter" and become a fan or whatever they call it these days. It should be an easy way to contribute to the gang when there is no show scheduled. Send some pics as well. A special thanks goes out to John O'Keefe for submitting photos of his collection to the Facebook page. Nice set up John! 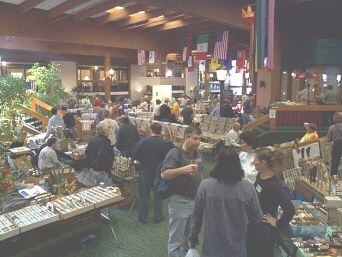 ATTENTION CHAPTER MEMBERS: If anyone has any pictures of past trade shows, dump trips, or chapter picnics, meetings, etc. and would like to share them online on this web site, send them to Charlie Smigo either by mail or e-mail. Mailed pictures will be returned to you. With your pictures, write a small note or caption as to when,where, function, and who is in the pictures along with any interesting comments.